New Hampton School Students Perform "Clue: On Stage"
New Hampton School’s fall theatre production is Clue: On Stage! It’s a dark and stormy night, and you’ve been invited to a very unusual dinner party. Each of the guests has an alias, the butler offers a variety of weapons, and the host is, well…dead. So whodunnit? Join the iconic oddballs known as Scarlet, Plum, White, Green, Peacock, and Mustard as they race to find the murderer in Boddy Manor before the body-count stacks up. 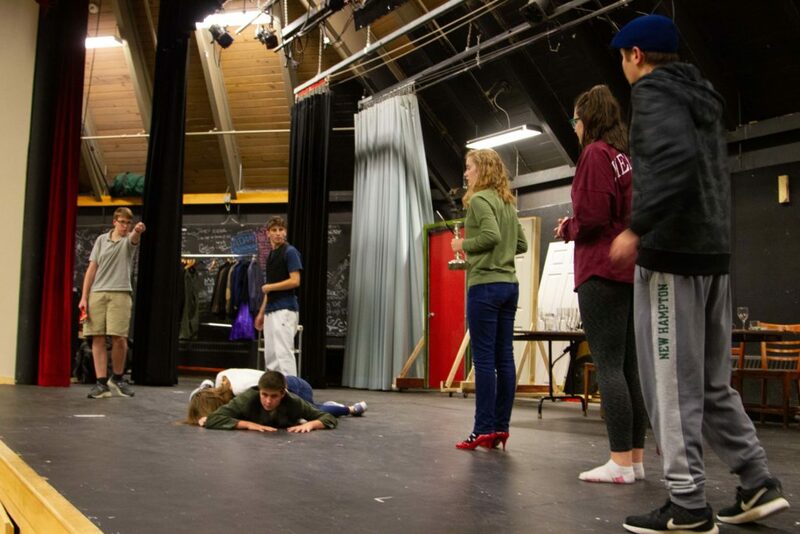 Students have spent many evenings throughout the fall rehearsing for their upcoming performance. The performance is based on the cult classic film, and the popular board game, Clue. New Hampton School Director of Theatre Joe Sampson is happy to be working with a group of student thespians to bring this hilarious play to life. 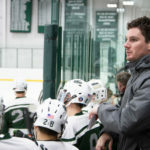 Sampson and the acting ensemble is supported by Jim Spiegel, Technical Theatre Director, and a team of students who will run the technical aspects of the show. On November 9, there will a performance for the student body. 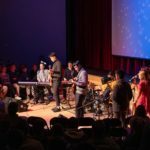 Then on November 10 at 7 pm, following the school’s annual Powder Keg games against perennial rival Tilton School, the public is invited to McEvoy Theater to join in the hilarity. 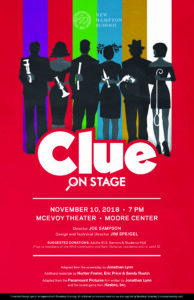 “Clue: On Stage” performed by New Hampton School students, ie open to the public on Saturday, November 10 at 7 pm. The cast is headed by Jake Schottenfeld ’20 as Wadsworth the Butler. 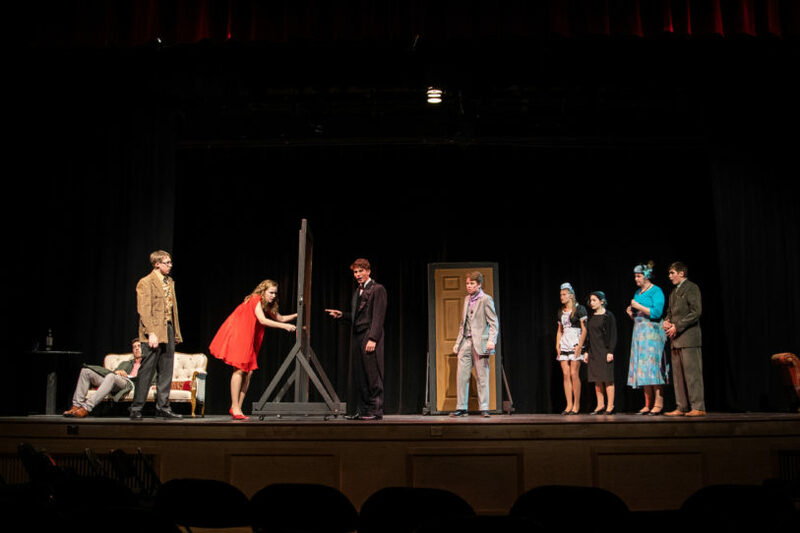 The board game pieces become real people in the hands of Olivia MacLean ’19 as Miss Scarlet, Maggie Van Dyne ’19 as Mrs. Peacock, Ruby Schechter ’19 as Mrs. White, Henry Miller ’22 as Colonel Mustard, Tyler Morrissette ’20 as Professor Plum, and Ryan LeBrun ’22 as Mr. Green. 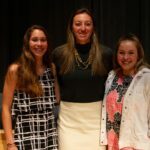 Schechter, who will graduate next spring notes that this performance will be bittersweet; “This is my last fall play at New Hampton, but I am definitely happy this is the culminating experience after these past four years,” she shared. 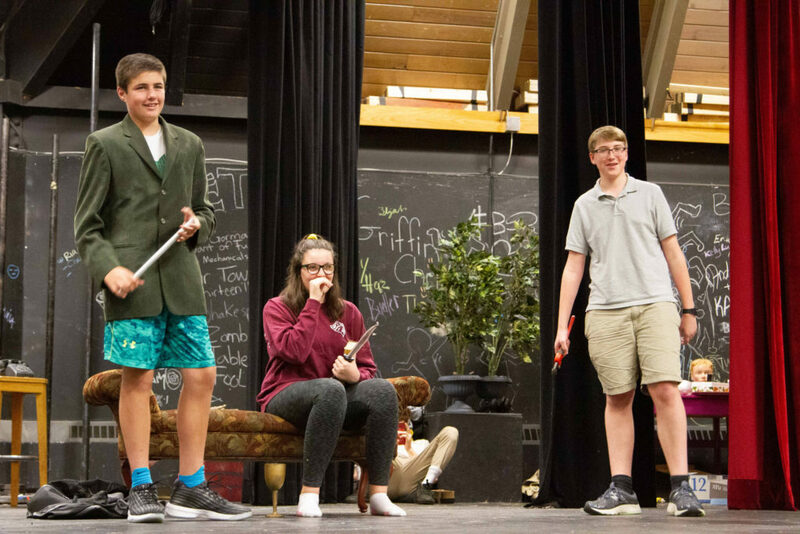 The fall show of Clue: On Stage features new and old thespians and will be a fun comedy for all in attendance. 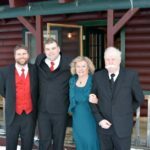 There will be two performances of Clue: On Stage. Friday the cast will perform for their peers and the school community, kicking off an exciting Homecoming Weekend. The Saturday night performance is open to the public. Showtime is 7 pm, and the show will be presented in the McEvoy Theater in the Moore Center.